Spice up this traditional favourite by adding some fresh chilis for an extra kick. 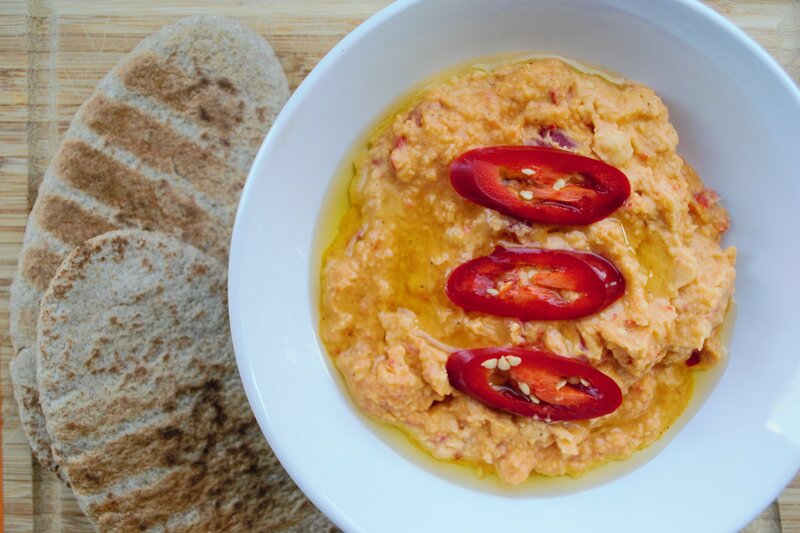 Hummus is perfect with some warm toasted pitta bread as an one-the-go snack, or even paired with some warm falafels in a wrap. Place all the the ingredients in a food processor and blend until smooth and consistent. 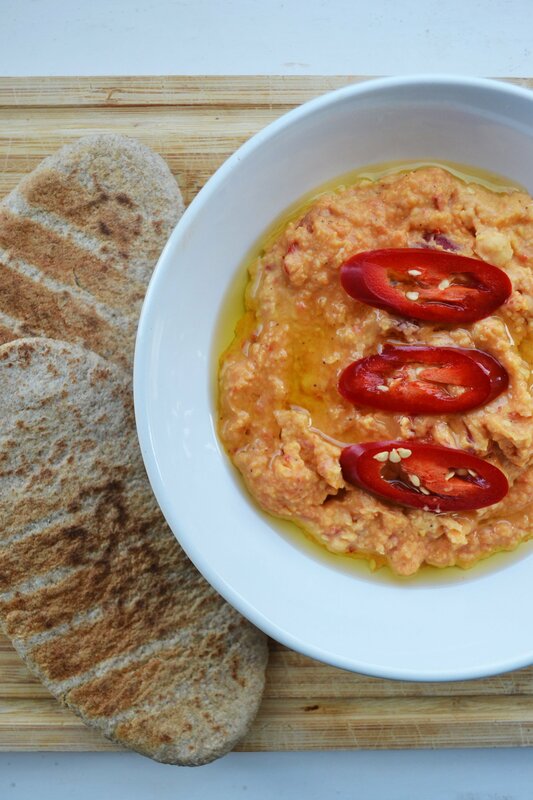 Serve with warm pitta breads. Simple! ← Proud To Be A Vegan!